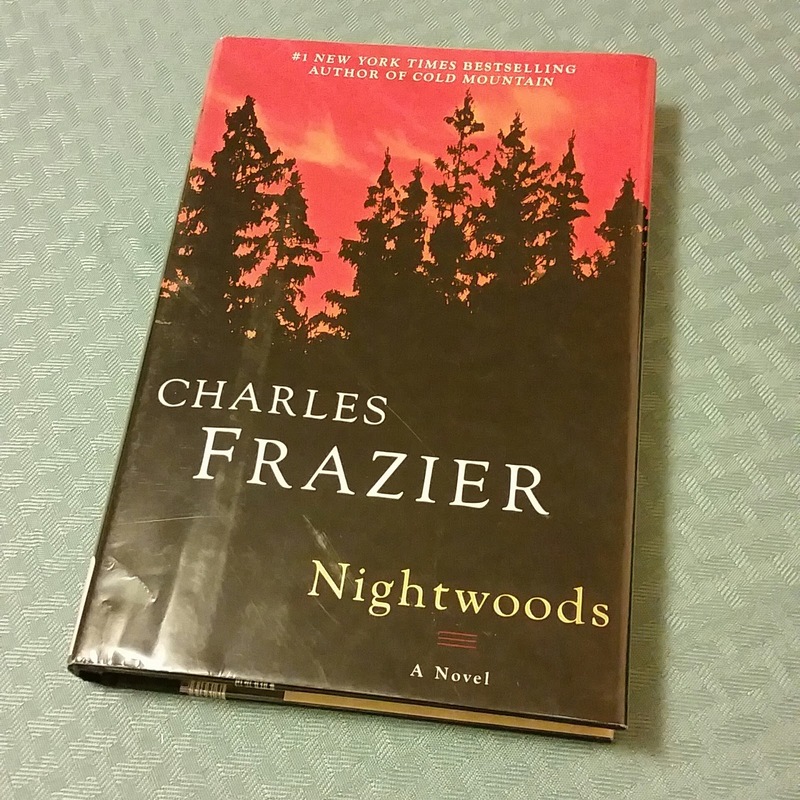 For my second read of 2016, I chose Nightwoods, by Charles Frazier. He's the guy that also wrote Cold Mountain, which I highly recommend you read. The film version of Cold Mountain is also excellent. Nightwoods centers on Luce, a young "spinster" who spends her days happily living in an abandoned lodge in the forest, away from the world. Luce loves the freedom that she has, but that freedom is quickly squashed when she is forced into taking custody of her murdered sister Lily's two children, Dolores and Frank. There are a few problems with this whole situation: Dolores and Frank are pyromaniacs who refuse to speak to anyone, and Lily's killer, Bud, is free and looking for Dolores and Frank. The children witnessed Bud kill Lily, and Bud is out to make sure they never reveal that information. Drama, as you can imagine, ensues. I will be honest with you when I say that the only reason I decided to read Nightwoods is because I came across a quote from the book that struck me, so much that it's quoted on my "About the Author" bit at the bottom of this and every Hipster's Hollow post. "Ask her what she craved, and she'd get a little frantic about things like books, the woods, music. Plants and the seasons. Also freedom." Being especially frantic about all of those things, I fell in love with the quote and figured that the rest of the words in the book should be pretty good, too. I was not wrong. Freedom, or the desire for freedom, is the overarching theme of Nightwoods. Luce finds freedom in her solitude and fights to maintain it, even with the children under her care. Dolores and Frank seek freedom from Bud and the shadow that he's cast over them, as well as freedom from the outside (which they characterize as everyone and everything but them). Bud wants the freedom to do whatever he likes, whenever he likes, and to be free from the threat of prison for the things that he's done. I won't spoil the book, but I will say that although all of these characters desire freedom, not all of them achieve it. That's the lesson that Frazier teaches with Nightwoods, though. We may want freedom, however we define it, more than anything, but it is not always feasible to be free. In some ways we are not meant to be free, and we have to make peace with that, which these characters fortunately do in the end. As a criticism, I will say that the book starts out slow, for about the first seventy pages. It took me a few days to get through that section of the book, but once the pace quickened, I couldn't put it down. All of the characters, flawed though they were, fascinated me and oftentimes reminded me of people that I know. The plot was suspenseful, up until the very end. What was most catching was the setting - the wilderness of North Carolina - and how I felt like I was there as I was reading. Frazier describes it in a detailed yet subtle matter where you have an idea of what the character are seeing, but you're also able to fill in the blanks with your own imagination. That was easy for me since I grew up in the hills of West Virginia and experienced an environment similar to Luce's. I felt like these characters were roaming through the woods on my grandparents' property, and that drew me into the story even more. Even though Cold Mountain is a fantastic novel, Nighwoods is my favorite of the two Frazier books, perhaps because it was more relatable for me. That quote on freedom certainly didn't hurt its case either! What books have you read that reminded you of your stomping grounds, Hipsters? Comment below! 24 Books in 2015: Due Tomorrow? Do Tomorrow.